As you’re all aware, Butlin’s celebrated its 80th birthday this year (and if you’re not aware, catch up on the goss and read about it here!). To celebrate the legacy Sir Billy Butlin left, one that laid the foundations for a new era of the British seaside, we’ve created a very special book; The Nation’s Host: Butlin’s and the story of the Great British seaside. Working with specialist seaside historian Kathryn Ferry, who we’re extremely pleased to have had write the book, we’ve created an official history book that charts the incredible inside story of Butlin’s. From its origins in a British society still reeling from the economic downturn of the 1920s, to its heyday in the mid-twentieth century and the challenges posed by the arrival of overseas package holidays, The Nation’s Host will take you on our incredible journey. From our Archive Managers to the wonderful team at the History of Advertising Trust, many hours have been spent exploring and delving deep into our archives. As our Head of Archive Roger Billington told us last month, with over 38,000 items in the archive, our history is “the closest you’ll get to time travel”, and we couldn’t be more excited to share our 80 years with you! You can see what else Roger had to say about his time with Butlin’s in his full interview. 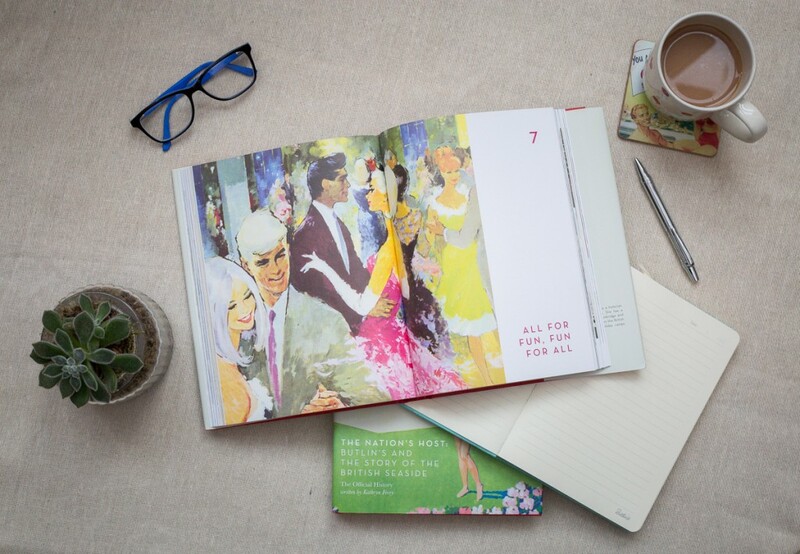 Inside the book you’ll find lots of these timeless images, many of which have never been seen before. Exciting or what! And to celebrate the launch of The Nation’s Host: Butlin’s and the story of the Great British seaside, we had a chat with author Kathryn Ferry to find out what she makes of our history and why she loves the seaside so much. Kathryn! We’re so excited about the book launch. You were asked to write Butlin’s official history to celebrate our 80th anniversary; what interests you most about Butlin’s history? The fact that Billy Butlin’s original idea was about providing affordable luxury. That’s not what a lot of people associate with Butlin’s now and I really wanted to challenge people’s preconceptions. Reports about the opening of Skegness in 1936 demonstrate how excited people were at the time. It really struck them as a new type of holiday, one in which ordinary people could access the sort of accommodation, dining and entertainment that had previously only been available to the rich. And the images held in the Heritage Collection are just magic, it’s been a privilege to see all the material during my research! While doing your research for the book, what was the most interesting fact you found? Butlin’s was incredibly popular after the Second World War when British people were desperate to return to the pattern of annual holidays they’d been denied during hostilities. In one book written in the early-1960s I came across a reference to the fact that Butlin’s had ramp entries to all its entertainment spaces, which meant injured service personnel and civilians hurt during bombing raids could feel welcome on camps. That struck me as indicative of Billy Butlin’s general philosophy to cater for everyone. 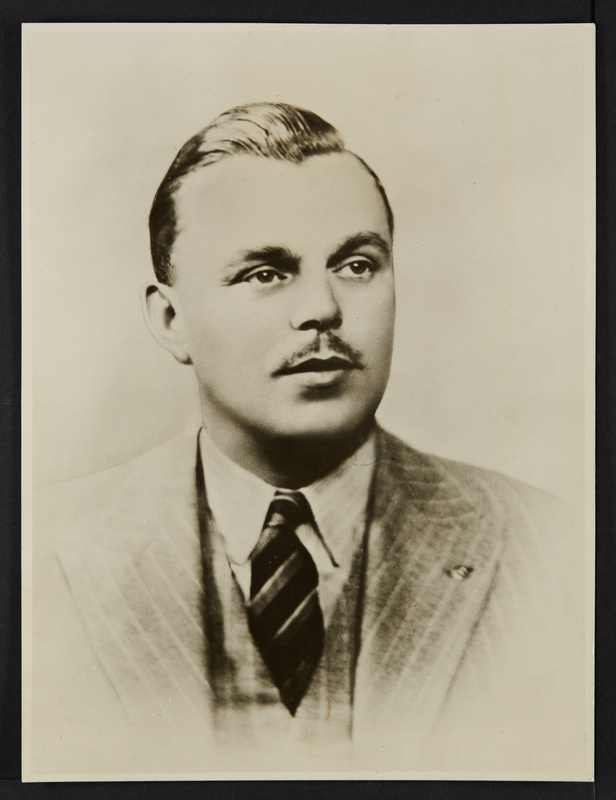 Our founder Sir Billy Butlin was very well known in his time, was there anything you uncovered about Billy that surprised you? Hearing Sir Billy speak via old recordings was really fascinating. He was such an amazing self-publicist and yet he was surprisingly softly spoken, with the oddest accent. His youth in South Africa and Canada meant he was truly a child of Empire but those West Country roots and early years in the travelling fairs gave him an extra lilt to his voice. You specialise in the history of the seaside, how did you become interested in this subject? It sounds weird but my passion for the seaside started when I fell in love with beach huts in 1998. I grew up in North Devon not far from the coast but we didn’t often go to the beach in the summer because my parents didn’t like the crowds. As beach huts grew in popularity from the late 1990s I decided to make a tour around the English coast to find out why other people were so fond of beach huts that they would pay many thousands of pounds to own one. That tour made me realise what a fantastic coastline we have and how underappreciated our seaside heritage has been. I began researching seaside history for my book on beach huts and haven’t looked back! You visited Butlin’s Minehead this year, how do you think it compares to the Butlin’s of Billy’s day? I was really impressed with how the core values I’d been researching were still very much at the heart of the modern Butlin’s experience and staying in one of the new West Lakes chalets was a real treat. 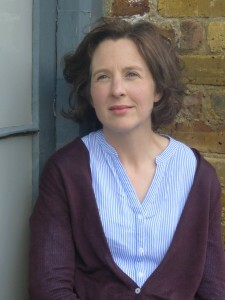 As a mother of three young children it was also wonderful to have a few days off thinking about food. Making sure Mums had a proper break was really important to Billy and I totally appreciate that now. The family atmosphere felt completely genuine and my two and a half year old daughter keeps asking when we can go back! 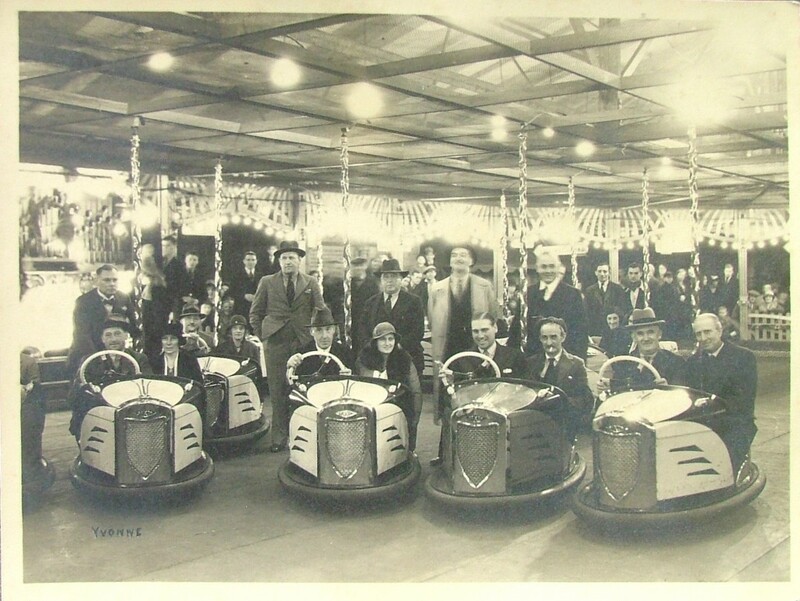 We know that Billy Butlin brought Dodgems to the UK, but how else was he an innovator? Kids’ holiday clubs are taken for granted these days but we forget how unwelcome children often were at seaside resorts in the past. Up until the post-war period family holidays were simply too expensive for many ordinary people and there weren’t facilities in place for keeping the children amused. Billy Butlin realised that happy children make for happy parents and with the Beaver Club he appealed directly to the younger generation in a way that was really pioneering. Why do you think Butlin’s has such an affectionate place in the British public’s heart? I first went to Butlin’s on a Venture Week with school. 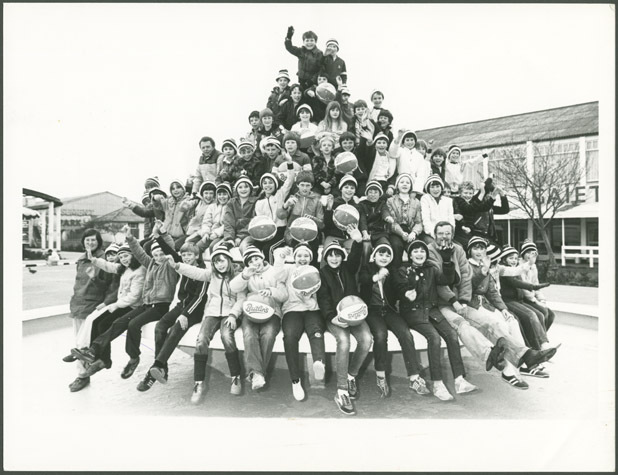 At the age of eleven having free rein of the Pwllheli site and trying out all the activities was great fun. Millions more Britons have happy memories of holidays spent at Butlin’s; the annual excitement of the journey wondering what new attractions there would be and the anticipation of enjoying all the familiar favourites. Billy Butlin was convinced that if he could only get people through the gates he would win them over to his all-inclusive holiday package. Tell us about your favourite childhood seaside holiday, and how that’s changed over the years? Before my family moved to Devon we went on a couple of seaside holidays to Cornwall and Dorset. I can distinctly remember the pedaloes with faces on Swanage beach and crabbing off the quay. We didn’t go abroad until I was a teenager but our seaside holidays were definitely following the trend of the 1980s away from traditional resorts to smaller, quainter places, particularly in the West Country. I still love those places but I’m keen to introduce my children to the traditional seaside resorts too and we often do day trips to the coast. I never had a beach hut holiday as a child but I’d like to give my kids that experience. There’s been a lot of call for reinventing the British seaside, as someone who specialises in this subject, why do you think this is? The British seaside has been through a hard time since foreign package holidays came on the scene. There wasn’t the mass exodus that people generally imagine but as more and more Brits went abroad expectations began to change and our own resorts couldn’t keep up. We have an amazingly varied coastline and a seaside history that stretches back more than 300 years but we have to get younger people back. I think it’s crucial to keep the best of the past as we reinvent the seaside for the 21st century. Looking onto the next 80 years, what do you think Butlin’s will be like and how might it have changed? It’s so difficult to speculate. Forty years ago the Butlin’s management looked forward to 2017 and saw Redcoats dressed in futuristic Buck Rogers uniforms! 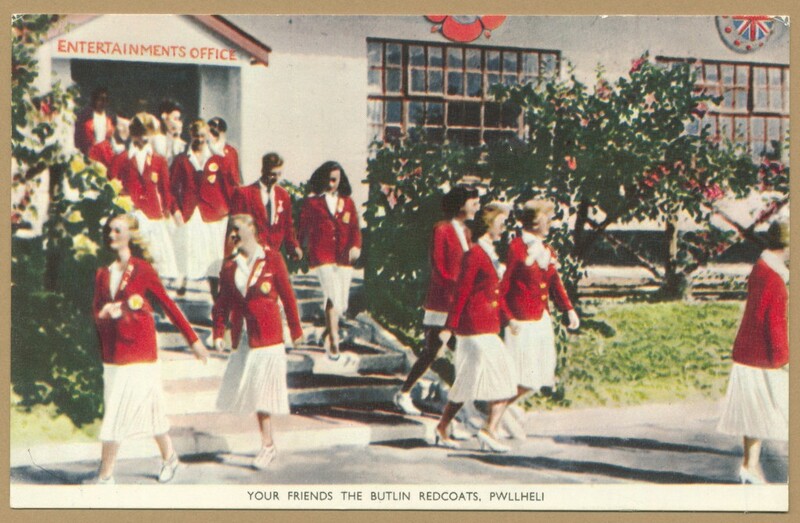 The fantastic thing is that they believed Redcoats would still be an integral part of Butlin’s and they are. I’d like to think that the personal and friendly service they represent will continue over the next 80 years and that the seaside will be more popular than ever. If you’ve got any wonderful memories of Butlin’s throughout the years we’d love to read about them and see them so tweet us, post a comment or tag us on Instagram.